Two Israeli soldiers have been indicted for stealing money from Palestinians and sexually assaulting female tourists at Qalandia checkpoint in the occupied West Bank. Indictments were filed against the pair – who belong to the Israeli Military Police’s Border Crossings Unit – yesterday at Israel’s Jaffa Military Court. The court heard that the soldiers stole money from Palestinians during security checks at the Qalandia checkpoint, located between Jerusalem and Ramallah in the occupied West Bank. In addition, according to the indictment, the pair asked female tourists to remove their shirts during a security check on two separate occasions, the Times of Israel (ToI) reported. ToI added that the soldiers ordered the women to remove their clothes despite the fact that “there was no clear security need to do so and in violation of standing orders at the crossing that prohibit male guards from strip-searching female civilians”. The indictment heard that, between March and September 2018, the Israeli soldiers in question intentionally conspired to steal money from Palestinians travelling through the checkpoint. 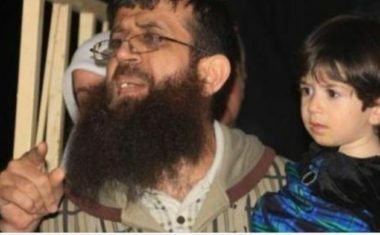 The pair is said to have taken joint shifts on a relatively-isolated part of the checkpoint, where they targeted middle-aged Palestinian women by sending their luggage through the X-ray machine – itself against regulations – then inspecting any luggage found to contain money. Jaffa’s Military Court charged the soldiers with “looting, attempted looting, indecent assault, and improper use of authority”. The court also “ascribed to the soldiers a racist motive, saying the two believed that ‘since Palestinians are hurting Jews, it is legitimate to take their property’”. The incident is not an isolated occurrence. In September, two Israeli border police officers were accused of stealing almost 20,000 shekels ($5,600) from Palestinians over the course of two months. One of the soldiers was found guilty of robbing Palestinians at gunpoint, leading him to be charged with six counts of robbery – including armed robbery – and taking advantage of his position. His accomplice was charged with three counts of robbery. According to the Prisoner Support and Human Rights Association – known as Addameer – Israel routinely undertakes strip searches and body searches of women prisoners which “violates its obligations under both international human rights and humanitarian law, including the Convention Against Torture and other Cruel, Inhuman or Degrading Treatment or Punishment.” Addameer adds that “Article 3(1)(c) of the Fourth Geneva Convention (1949) forbids ‘outrages upon personal dignity, in particular, humiliating and degrading treatment’” which includes sexual violence. Israeli Prime Minister Benjamin Netanyahu’s office has agreed to relocate the Palestinian village of Khan Al-Ahmar hundred of metres from its currently location in return for its recognition, a lawyer representing the Palestinian Bedouins has said. Arab48 reported Tawfiq Jabareen saying that Netanyahu’s office initiated the negotiations and introduced a suggestion that included recognising the village and giving licences to all of its buildings and facilities. “Proposals introduced to Netanyahu’s office received initial approval,” noting that these proposals were based on the alternatives introduced to the Supreme Court in July. The court turned down the proposals and decided that the village must be demolished. The new proposals include a detailed plan for Al-Khan Al-Ahmar based on the Jordanian law of planning and construction, as well as Israeli recognition of the village after it is relocated. During the negotiations, Jabareen said, several proposals were discussed but this one, which had been rejected by the Israeli planning and construction committee, was approved. Scores of Palestinians, including officials, demonstrated yesterday in support of the Palestinian village of Al-Araqeeb which has been demolished by occupation forces more than 130 times, Arab48 reported. The Negev village of Al-Araqeeb was first razed in 2010 and has been demolished 134 times since under pretexts that it was built without the needed licenses. The last demolition was carried out earlier this month. The demonstrations came as part of the weekly popular activities being organised in support of the village, which Israel is planning to remove in order to make way for the expansion of its illegal settlements. Protesters gathered in support of 70-year-old Sheikh Sayyah Al-Turi who was handed a ten month jail term in August and fined 36,000 shekels ($9,100) by the Israeli Magistrate’s Court in Beer Sheva. The court found him guilty in 18 cases filed in November 2013, including trespassing on state property, in reference to land where the village is built. Representatives of Palestinian communities and MKs took part in the demonstration, including Arab Members of the Knesset Haneen Zoabi, Talab Abu-Arrar, Jumaa Zabarqeh and Jamal Zahalka. “Israel plans the ethnic cleansing of all Palestinians, not just some of them,” Zoabi said during the demonstration. “Resistance is the drug of victory for Khan Al-Ahmar and it will be the same for our people in the Negev,” she added. Israel has arrested two officials from the Palestinian Authority over suspicions they helped abduct a Palestinian resident of Jerusalem, their lawyers said on Sunday, Reuters reports. The Palestinian Authority condemned what it said was an “abduction” of the two Palestinian officials, but it did not comment on the specifics of the charges. According to a report on Israel’s Reshet 13 television, the Palestinian resident of Jerusalem abducted two weeks ago has both an Israeli identity card and US citizenship. GAZA, PALESTINOW.COM — At least four youths were injured on Sunday evening when the Israeli occupation forces opened fire at the Palestinians taking part in the Great March of Return’s night protests at the border east of Gaza. The PIC reporter said that four Palestinian youths were injured by live ammunition and teargas canisters east of al-Bureij refugee camp, in the middle area of the Gaza Strip. According to the Palestinian reporters in the Gaza Strip, dozens of Palestinian youths marched late on Sunday along the borderline east of Gaza, burned car tires, launched fireworks and fire balloons over the fence, and sang national songs. Palestinians in the Gaza Strip have been protesting in the Great March of Return on a daily basis since 30 March. The border demonstrations are mainly aimed at shedding light on the Palestinian refugees’ right of return and pressuring Israel to lift the decade-long blockade. Since the protests started 217 Palestinians have been killed by the Israeli army and over 22,000 injured. 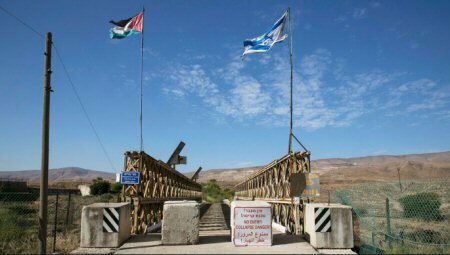 Jordanian King Abdullah II informed Israel, on Sunday, that he will not renew two annexes of the 1994 peace treaty between Israel and Jordan, with regard to territory leased to Israel. Israel leased the land for 25 years upon the signing of the peace treaty, and the deadline for renewing leases of the treaty is this upcoming Thursday, according to Ma’an.